It may be one of the best kept secrets but it has been said that the original Easter Bunny lives at Clifton Nurseries London ..... and he's now invited some of his friends to join him for Easter! Six Clifton Bunnies are setting up home over Easter in Maida Vale to hand out their chocolate treats to all those little ones who can find their six secret hideouts! Follow the clues around Clifton Nurseries London to find each of the hideouts - find all six and your little one will be rewarded with a chocolate treat. 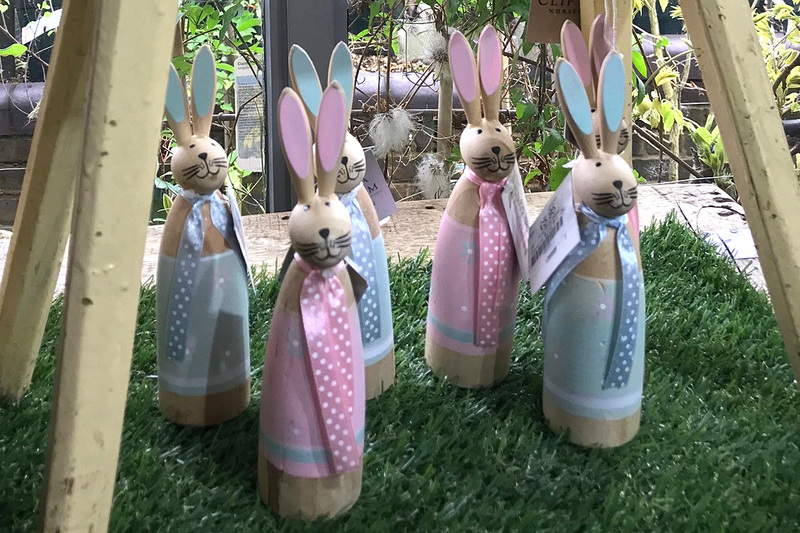 The Clifton Nurseries Bunny Trail runs at our London branch from Wednesday 17th April to Wednesday 24th April (except Easter Sunday) - any time from 9.30am to 6pm. Following the Bunny Trail, why not enjoy some well-deserved refreshments at The Quince Tree Café and get creative with the special Easter themed free children's colouring-in sheets (sheets and crayons supplied). 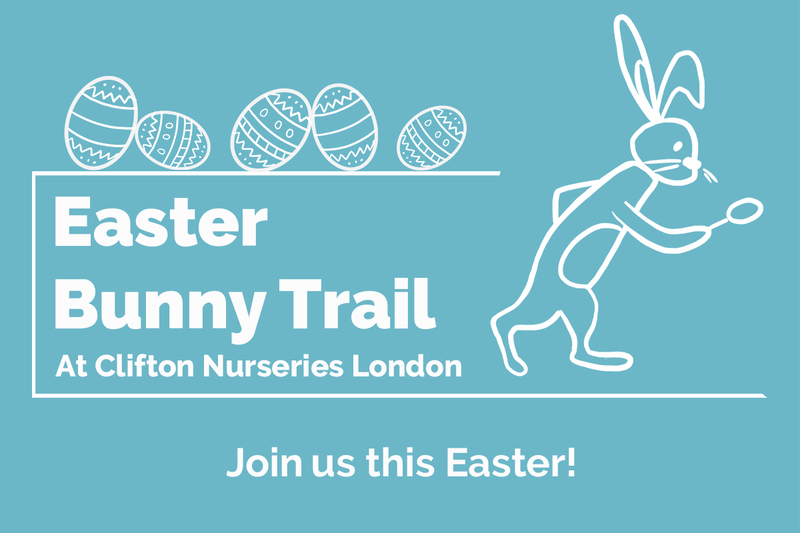 Although the the Bunny Trail is only available at Clifton Nurseries London, colouring-in sheets will be available at both The Quince Tree Café London and The Quince Tree Café Surrey.